Magnetic & Strap Mount: 16”L x 11”W x 7.5”H. 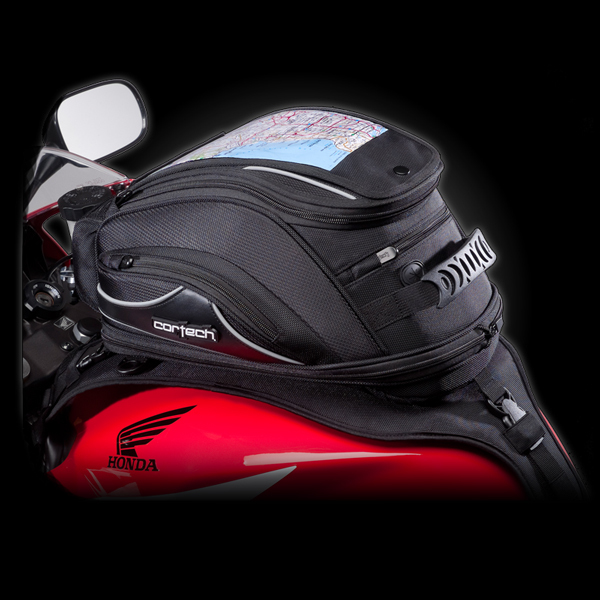 • Expandable main compartment increases bag storage capacity. • Locking zipper pull on expansion zipper. • Two built-in sip tube/headphone ports. • Two-Tone red and black soft lining interior.